Are home theaters the new fun way to invest in your home? One of the most in-demand requests that real estate agents get concerns home theaters, or at least the space to add such a multi-media room. With home-theater technology evolving and prices lowering over the last decade, it has evolved from luxury to near necessity for many. According to the Home Builders Association, most new homes with a $250,000+ price come with a home theater or media room. 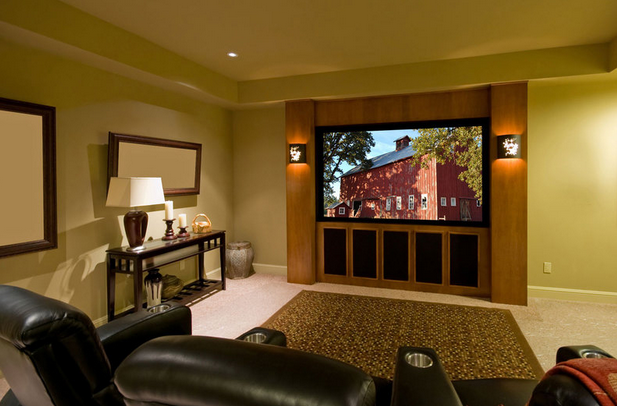 There are several ways to make a home theater room more appealing prior to showing a home. Start by cleaning all surfaces, keeping wiring as discrete as possible. Although lots of seating space is practical in a media room, it may be a good thing to reduce the number of sofas to give a spacious look to the room. We’re in the golden age of gadgets and components. Rooms focused on technology can be just as appealing to today’s home buyer as a large bathroom or walk-in closet. For additional information, please call us at 734-747-7500 or email us at info@bhhssnyder.com!